All of you have seen it- the change in the automotive powertrain landscape. The driving force behind the changes is the desire for mankind to not choke and die breathing air (i.e. check out the air pollution levels in China and India right now). The upside to this push for cleaner air has been more torque, more power, and better throttle response. You can thank turbos and electric motors for all that goodness. 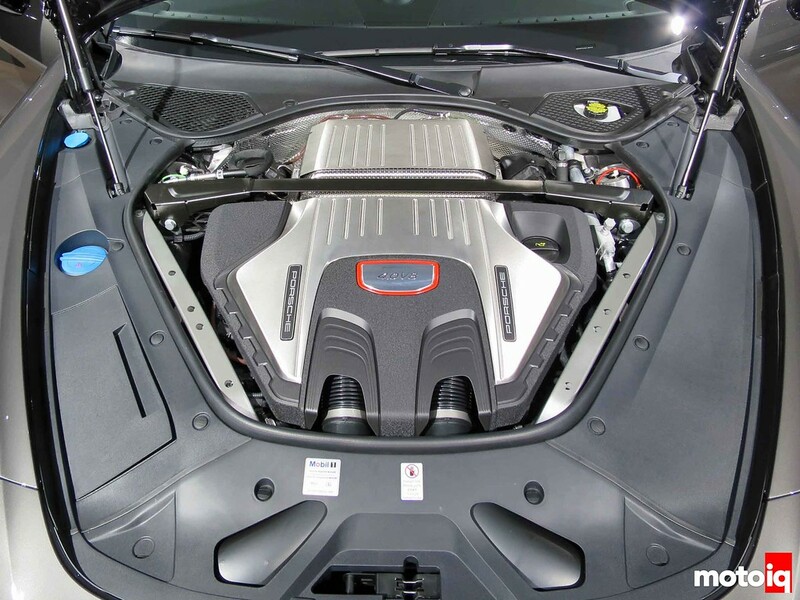 A twin-turbo 4.0L V8 is under the hood of the Panamera. As with pretty much all modern cars, everything is hidden. But, under that strut tower brace are a pair of turbos. The Europeans have all pretty much gone to mounting turbos inside the V of their engines. While it does increase the center of gravity of the engine itself, the bottom of the engine becomes much narrower because there is not a pair of turbos, intakes, and downpipes sitting down low on the sides. So, I’m guessing the entire engine can be mounted lower consequently. If anything, maybe having the turbos up in the V just makes routing the intakes, downpipes, and associated water and oil lines easier. 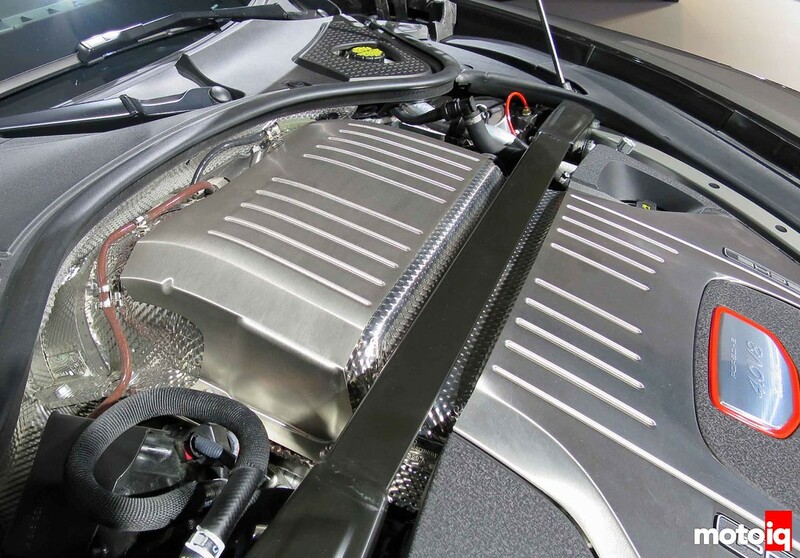 Anyway, you can see the extreme heat shielding efforts from Porsche for thermal management. 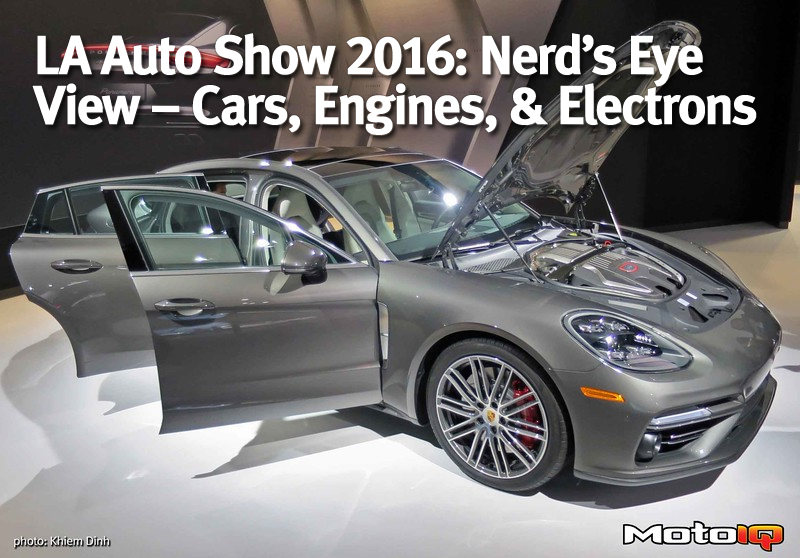 Porsche is trending towards going all-in on turbos as BMW, Ford, Audi, and Mercedes have. 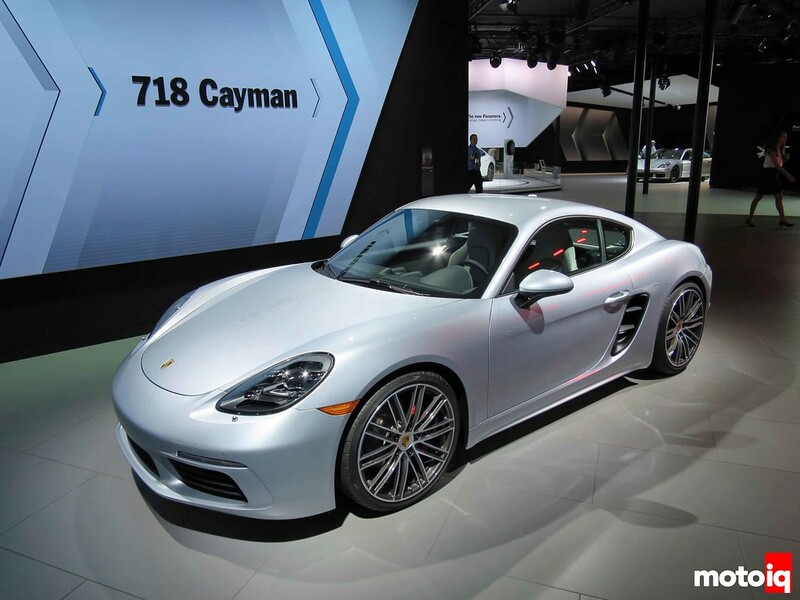 The new 718 Cayman/Boxster twins have flat-4s which seem to put out more power than they are rated based on the initial dynojet numbers that have popped up. I’ve said the only way to make Project S2000 better is to make it turbo and mid-engine, so maybe one day I’ll get into a 718. 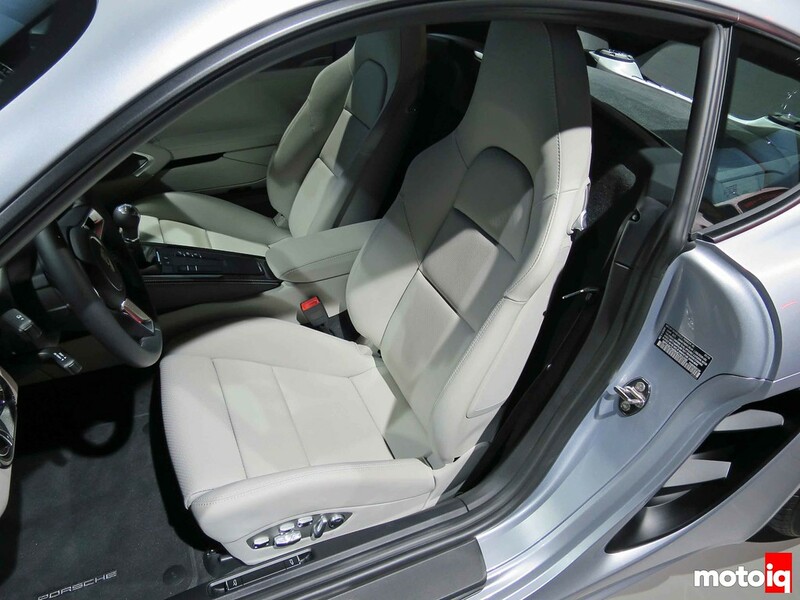 The seats actually looks quite a bit like my S2000 seats with moderate bolstering, due to the whole street/performance compromise. The side scoop just behind the door feeds air to the engine and heat exchangers.